Star Wars 7x7 | Star Wars News, Interviews, and More! | Listen Free on Castbox. Discover Star Wars 7x7 | Star Wars News, Interviews, and More! Not endorsed by Lucasfilm, Ltd. or Disney. Star Wars and any other Star Wars related items are registered trademarks and/or copyrights of Lucasfilm Ltd., or their respective trademark and copyright holders. All original content is © Star Wars 7x7. Star Wars: The Last Jedi, Rogue One, The Force Awakens, Star Wars Rebels, and more! 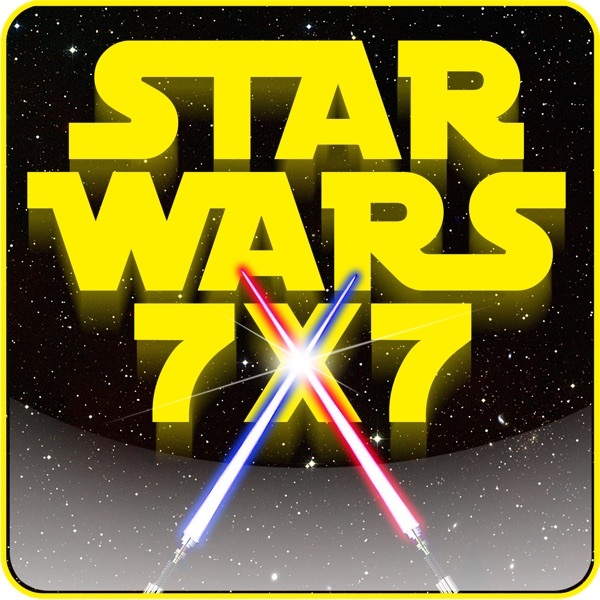 The Star Wars 7x7 Podcast is Rebel-rousing fun for everyday Jedi, 7 minutes a day, 7 days a week. Destiny unleashed! #SW7x7 Join Allen Voivod for Star Wars news, history, trivia, movies, cartoon, comics, characters, vehicles, toys, books, and so much more. You get it all in just 7 minutes, so subscribe now! great show delivering everything we need to know about our favorite franchise! I have now watched the Last Jedi 2 times and then I watched the Lucas movies. I have watched the clone wars. There is a story line there. The last Jedi dosent carry that story forward. It treats those movies like myth and legends. they treat those movies with contempt. I don't think people who are fans will like this. I think they are killing this story line on purpose. I think they see it as a tether that needs to be cut in order to expand the universe and they are going down a path I can't follow. Rogue one showed they could expand the universe with out messing with this story line but I can't see how they will win the trust of the fans back? Byron Easley what do you expect from Solo? Byron Easley I have lost interest in episode 9.